THERE'S drama afoot in the world of golf as we count down to the 83rd edition of the Masters - with the genteel sport turning itself into a purist's war zone in recent weeks. You see, while the casual sports fan is only now getting ready to tune into the sporting landscape's most perplexing game the truth is the rollercoaster has been rattling along for months. And true to form it's tossed up a bunch of storylines that left golf fans around the globe scratching their heads. We're not talking 'Robert Allenby getting kidnapped' levels of bizarre, although the controversial decision by the European Tour to take a tournament to Saudi Arabia has been as poorly received as you might imagine. But for on-course craziness it has certainly been a funky few weeks. Because few other sports are capable of giving themselves an unintentional black eye quite like golf - although at this point it's important to note that we're not talking about the off-field scandals which rock the NRL and AFL every year. We're looking more at Matty Kuchar - the smiling assassin - and his ability to drag himself into the headlines for increasingly trivial reasons. 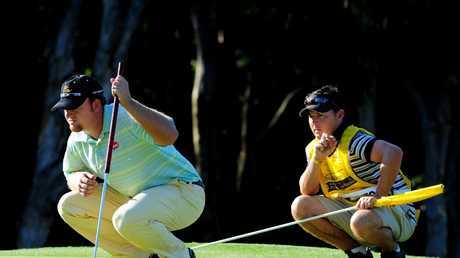 The man with one of the sport's most recognisable tanlines has been hammered from pillar to post recently, firstly for shortchanging his caddie after pocketing $1.85m. After initially offering $5000 to his stand-in caddie - who are usually afforded up to 10 per cent of the winners fee - Kuchar doubled down by saying he would "not be losing any sleep" over the furore. They're sticklers for tradition, the golf fraternity. And we found that out thanks to Kuchar, again, when he clashed with one of golf's other great villains - the combustible Sergio Garcia. Just this week the 40-year-old Kuchar split opinions with a controversial concession drama at the WGC-Match Play, when he denied Garcia a six-inch tap-in putt. Garcia had missed a long putt to win the hole and, in a situation where the hole would normally be conceded, he casually tapped his ball with the back of the putter - which then lipped out from close range. But he was left dumbfounded when Kuchar called in a rules official to confirm Garcia's missed putt. Again, the fire raged for days as Kuchar and Garcia were each painted as the villain in equal measure over the contentious ruling. Garcia, of course, is no stranger to a flare-up. He was disqualified from the inaugural Saudi International in February when he damaged the greens at Royal Greens Golf Club. That some of the biggest names in golf were playing in Saudi Arabia at all was a point of contention for some experts given the political ramifications of the past six months in which journalist Jamal Khashoggi was killed inside to Saudi consulate in Instanbul after being vocal in his criticisms of Prince Mohammed bin Salman. There's never a dull day in the world of golf. But what else has angered the gallery in recent months? There's the never-ending saga of infuriatingly slow players, an issue which rankles everyone from PGA professionals to your average Sunday hacker stuck behind a sluggish foursome. Whether it's JB Holmes taking a minute to line up a three-footer or Spieth methodically working his way around Augusta in the slowest way possible, we'll invariably end up discussing. 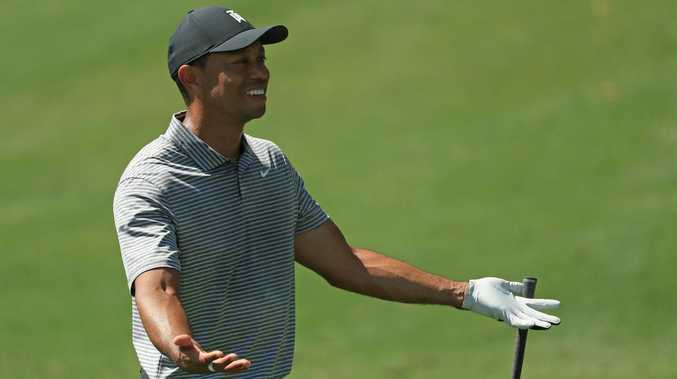 Although with Spieth likely to be there when the whips are cracking on Sunday, we'll probably end up forgiving him - especially if he ends up in a showdown with the four-time champion Tiger Woods. Tiger, of course, is back in case you haven't heard. 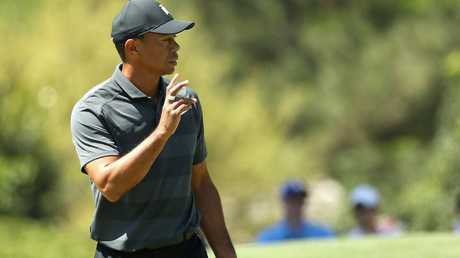 He was furious after throwing away his quarter-final at the WGC Match Play, bungling a four-foot putt, but had knocked off Rory McIlroy earlier in the week. The 43-year-old has the fire in the belly and, seemingly, the game to back it up - which is something we've not been able for a long time. Tiger Woods is back at Augusta. Coming off his best finish of the year, the world No.12 is actually playing with a smile on his face as he chases a fifth title at Augusta. And from an Australian perspective, the prospect of a second green jacket is not farfetched at all. 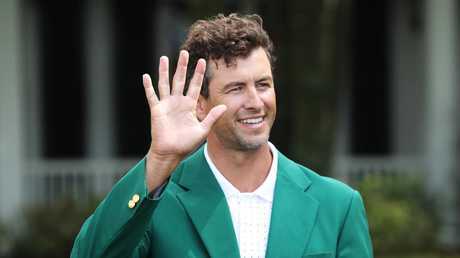 Adam Scott is the only Australia to be invited into the clubhouse to slip on golf's most famous - and most fetching - item of clothing, but he headlines a strong list hopefuls with glory in their eyes. 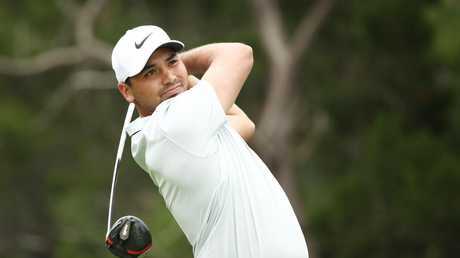 Jason Day (14), Marc Leishman (19) and Cameron Smith (28) all join Scott (29) in being ranked inside the world's top 50 and earning starts at Augusta. "The four this year are a good chance to win the Masters and I expect them to be in contention on Sunday," said Ian Baker-Finch. 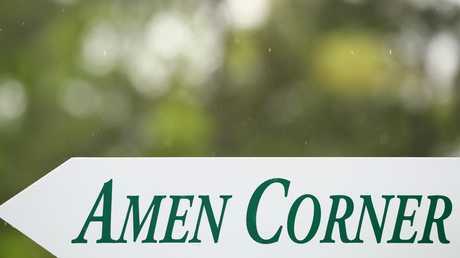 When does The Masters take place? The first groups tee-off at 0830 local time on Thursday and Friday - that's 10.30pm AEST on the same day. How to watch it in Australia? Kayo is the answer to your Masters viewing experience - you'll get the usual Masters broadcast as well as access to Amen Corner, featured groups and another camera locked on holes 15 and 16. TV coverage starts at 5am AEDT each day. Prize money: The purse is announced after the event. The total 2018 purse was $US11 million, with the winner pocketing $US1.98 million; second place $1.188 million; third place $US748,000; fourth place $US 528,000 and; fifth place $US440,000. Why does the winner get a green jacket? Augusta National members began wearing green sports jackets in 1937 so they could be recognised if fans had questions about the tournament. The tradition was expanded to winners being presented with green jackets in 1949. Augusta National's original architect was Alister MacKenzie, whose Australian work includes the West Course at Royal Melbourne, New South Wales Golf Club and Royal Adelaide Golf Club. MacKenzie died in January 1934, after the construction work had been finished but before Augusta National was fully covered with grass. 2011 - Jason Day and Adam Scott posted the clubhouse lead on Sunday, only for South Africa's Charl Schwartzel to birdie the final four holes to win by two. 1986 - Greg Norman was tied with Nicklaus going into the 72nd hole. But Norman pushed his approach right on No.18, made bogey and handed Nicklaus his sixth Masters and 18th major. Norman was joint runner-up. Larry Mize after his spectacular chip in. 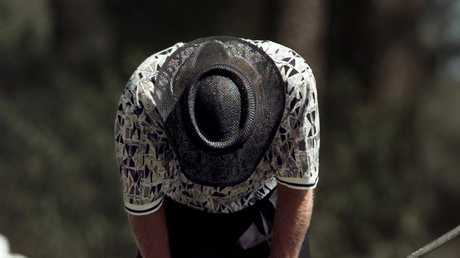 1996 - Norman blew a six-shot lead after 54 holes, handing Nick Faldo the green jacket in one of the most iconic losses in golf and sporting history. "I let this one get away," Norman said. "I'll wake up tomorrow morning still breathing, I hope."